Features 23.8" diagonal widescreen display with Full HD resolution. Runs on Microsoft® Windows® 10 Home. Powered by Intel Pentium® processor. Large 8GB memory lets you run demanding programs. 1TB (1000GB) hard drive holds songs, photos and documents. Features Wireless-N (802.11n) for high-performance, cable-free networking. Access wireless networks to share files, surf the Web and exchange e-mail. Wired networking is also supported. DTS Studio Sound™ stereo speakers provide quality sound. 3-in-1 memory card reader for file transfers made fast and easy. Transfer your digital photos, music and other files from 3 types of memory cards. Built-in HD webcam and microphone. Enjoy the crisp details and clarity of smoother video chats. 2 USB 3.0 ports for ultra-fast data transfers and 2 USB 2.0 ports. USB 3.0 is up to 10 times faster than USB 2.0, yet fully compatible with USB 2.0 devices. Includes a USB wired keyboard with volume control and USB wired optical mouse. The latest processors2, plenty of storage and a range of IPS display sizes power your content and give the whole family an awesome view. Now everyone can get connected without slowing down. 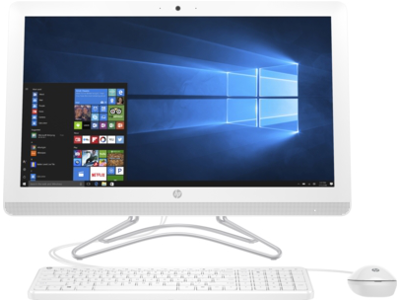 With over 100 tests3, you can depend on your HP All-in-One to help your family through every homework assignment, school project, and all-day movie binges. Watch DVD movies using the optional, integrated optical drive–or write your own media. RAM is essential for multitasking and powering demanding programs like video editing software and games. The more RAM you choose, the better performance you'll enjoy. Enjoy the crisp details and clarity of video chats with the extended family or conference calls for work. 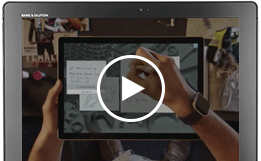 With a great webcam it's never been easier to stay in touch and get your work done. 2 Multi-core is designed to improve performance of certain software products. Not all customers or software applications will necessarily benefit from use of this technology. Performance and clock frequency will vary depending on application workload and your hardware and software configurations. 3 HP Total Test Process testing is not a guarantee of future performance under these test conditions. Damage under the HP Total Test Process test conditions or any accidental damage requires an optional HP Accidental Damage Protection Care Pack. 5 Intel’s numbering is not a measurement of higher performance. Multi-core is designed to improve performance of certain software products. Not all customers or software applications will necessarily benefit from use of this technology. Intel, Pentium, Intel Core, Celeron, Intel logo and the Intel Inside logo are trademarks of Intel Corporation in the U.S. and other countries. 6 GHz refers to internal clock speed of the processor. Other factors besides clock speed may impact system and application performance. 7 Part of the total system memory (RAM) is used for graphics/video performance. System memory dedicated to graphics/video performance is not available for other use by other programs. 8 Internet access required and not included. 9 Actual speeds may vary. 10 Wireless access point and Internet service required and not included. Availability of public wireless access points limited.